When you’re really craving it, nothing satisfies like a plate of pasta. Whether it’s classic spaghetti with house-made meatballs or a more involved pappardelle bolognese, Arkansas’ awesome Italian restaurants are serving up their own versions of this comfort food staple. Here are the 10 best places to get it! You’ll feel right at home in this comfy, cozy spot in Eureka Springs. Award-winning Ermilio’s is well-known for serving up some of the best Italian fare in the area. First you’ll pick your sauce from choices like Mom’s Homemade Meatballs in Red Sauce, primavera, and gorgonzola cheese sauce. Next, you’ll pair your sauce-of-choice with your favorite kind of pasta like penne, spinach fettucine, or gnocchi. Ermilio’s also offers gluten-free options! One thing that makes Tavola Trattoria great is its use of priority seating. Simply, this system puts your party at the top of the wait list…just check in about 10 minutes before your time. It’s not just great seating, though, that makes this place stand out. Most dishes here are available in individual servings as well as family style. Check out favorites like lobster macaroni & cheese, pappardelle & meatballs, and gnocchi formaggii. Get ready for classic Italian flavors at this popular Fayetteville, Arkansas, restaurant. While the prices at this spot are a little higher than neighboring venues, it is totally worth the prices. Vetro 1925 is well-known for dishes like penne alla vodka, risotto del giorno, bucatini amatriciana, and pappardelle bolognese. They cook. They serve. You share. That’s the basis of how things run at Mirabella’s Table in Rogers, Arkansas. Pasta dishes can be ordered for individual appetites or served family style. Check out classics like the Missionary pasta, the Skinny Penny’s zucchini pasta, or the Woodinville Pasta. From appetizers like shrimp napoleone and stuffed mushrooms to pasta entrees like lasagna and manicotti, you’ll love everything about this Van Buren restaurant. Frank’s is well-known in the area not just for the pasta, but also for the friendly staff and casual atmosphere. You’ll find some of the most traditional and authentic Italian pasta at Napoli’s in Rogers. Their homemade pastas are served with soup or salad. You can choose from favorites like spinach ravioli, baked ziti, and vegetable lasagna. Since 1947, The Venesian Inn has been a tradition in Tontitown, Arkansas. This place is so good that it was an Arkansas Food Hall of Fame inductee in 2018. 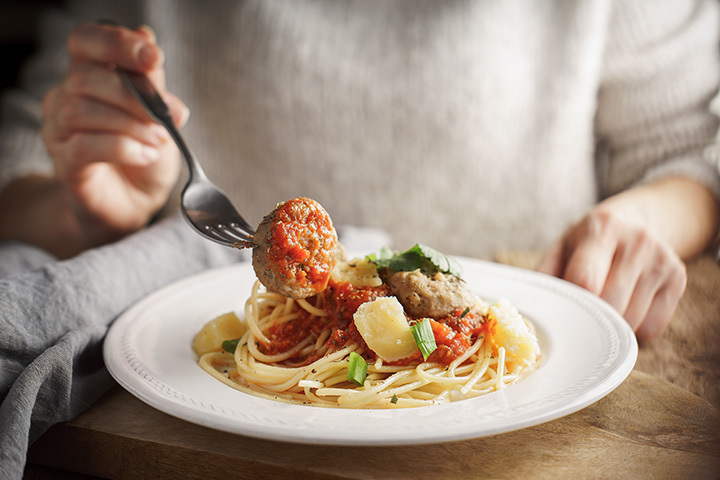 You’ll find a touch of Italy in dishes like homemade spaghetti, chicken parmigiana, and fettucine alfredo. This locally-operated joint is a Northwest Arkansas favorite. The staff is always attentive and friendly. Guido’s isn’t just famous for pizza…check out the spaghetti. You’ll be glad you did! No reservations at this Eureka Springs hotspot…its first come, first served. Café Amore serves up some delicious dinners Wednesday through Sunday evenings. Be sure to try the spaghetti with marinara, the lasagna, or the manicotti amore. Luna Bella in Hot Springs has some awesome pasta dishes. Locals love the eggplant parmesan, the penne alla vodka, the pasta fortuna, and the chicken marsala rigatoni. Though the prices may be on the higher end, Luna Bella offers one of the finest dining experiences in the Hot Springs area.